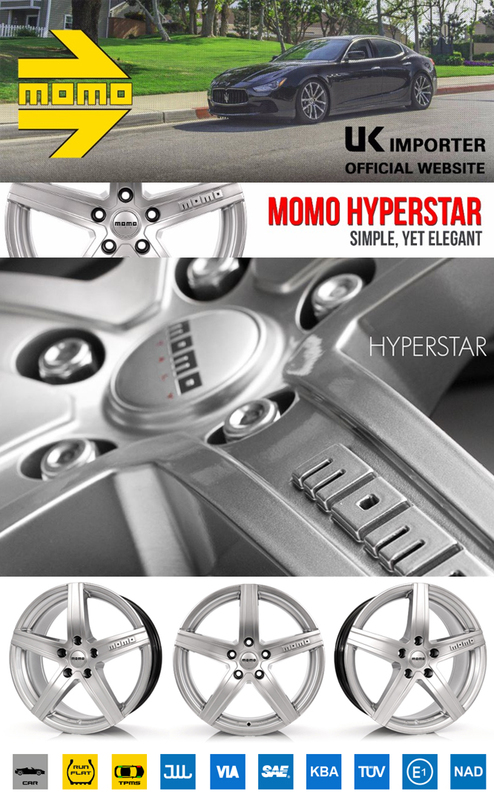 One of our most popular designs, the MOMO Hyperstar offers not only a stylish, modern design but also unrivalled durability. The high quality Hypersilver finish applied to these wheels creates a stunning effect that’s unrivalled by competitors. These wheels are available in either 6x15”, 6.5x15”, 6.5x16”, 7x16”, 7x17”, 7.5x17” or 8x18” with a 4 or 5 stud pattern.